Liz Weaver of Tamarack discusses best practices with participants at an early childhood education symposium in Sheridan. 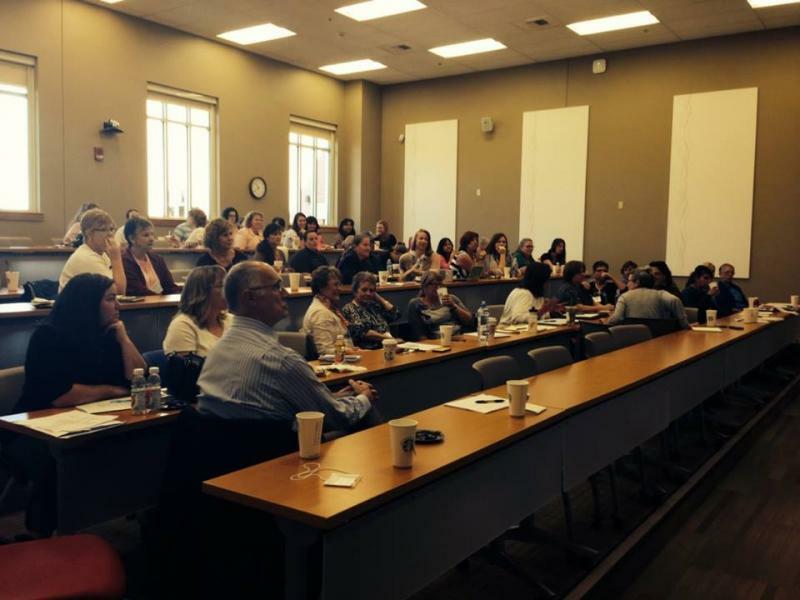 Participants at the ‘Building Communities Where Children & Families Thrive’ early education conference in Sheridan. It’s circle time in a Laramie Head Start classroom and a chorus of lively 3 and 4 year olds is belting out a familiar rhyme. It sounds like fun and games, but the program’s director, Marlena Suazo says it’s something more. The goal, she says, is to help these children develop their social and emotional skills. There are 17 children in this classroom. Across Wyoming, Head Start serves about 2,500 kids from birth to age five. But the federally funded program is only available to low-income and at-risk kids. Suazo says her program is always at capacity. “There is a shortage of good, quality early childhood everywhere you go, so having to turn away families that qualify for the program and need the services so badly is extremely difficult.” Suazo says. Wyoming is one of 10 states without state-funded preschool. And statewide survey data from 2009 showed that only slightly more than half of all kindergartners were considered “kindergarten-ready.” Recent efforts to expand and improve early education in Wyoming have been rejected by lawmakers. 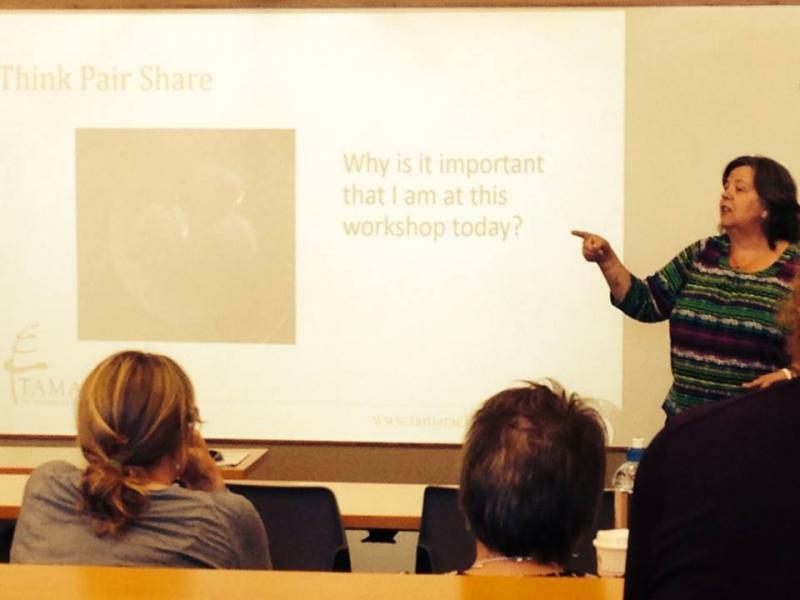 In September, teachers, social workers and others in the field gathered in Sheridan for a conference touting the science of early brain development and advocating for increased collaboration. Melanie Berry of the Stress Neurobiology and Prevention Research Lab at the University of Oregon was among the presenters. “Because the earliest years are a period of rapid brain growth, they’re a period of great opportunity and great vulnerability, because experience has such a strong impact during that period,” Berry says. Research like Berry’s makes clear that what we experience in our first years of life--interactions, stresses, trauma—that all impacts our ability to think and learn throughout school and beyond. "As Wyoming people, and really in the West more generally, we do have this idea that if we can just pull ourselves up by the boot straps, everything's going to be fine. But children don't choose where they land." “We see that investing in early interventions and programs is more effective and more efficient than investing later in remediation and treatment,” Berry says. An economist at the University of Chicago found that every dollar invested in quality early education programs for needy children results in a 7 to 10 percent return, per child, per year. This scientific evidence that early experiences are closely tied to later academic success is relatively new, and is helping to launch new initiatives around the country—but conference attendees say, not so much in Wyoming. “But I still don’t think that we understand that you get the biggest bang for your buck when you really work really intentionally and focused with those kids birth to five,” Morrow says. There are around 50 different programs spread across four state agencies dealing with early education in Wyoming. Kelsy Been works with an organization called Wyoming Kids First. She’s trying to get these groups to collaborate, but says it isn’t easy. “If you think of all the stakeholders in a community who touch early childhood, it’s amazing to find that they’re not really aware of what everyone else is doing and what their goals are and what data they’re collecting,” Been says. But some around the state—and in the Legislature—are skeptical of taking too collective an approach to early education. There’s disagreement over whose responsibility it is, says Brian Farmer of the Wyoming School Boards Association. “Is it the role of the state to fund early childhood programs? I believe there are some legislators that think that’s really more of a family issue—and not something the state should be pushing or promoting,” Farmer says. For conference organizer Michelle Sullivan, advocating for early education means overcoming challenges she says are presented by Wyoming’s independent identity. “As Wyoming people, and really in the West more generally, we do have this idea that if we can just pull ourselves up by the boot straps, everything’s going to be fine. But children don’t choose where they land,” Sullivan says. The children who landed at Laramie Head Start will pick up some of the skills and behaviors to make later learning less daunting. But they are a select few. Advocates like Michelle Sullivan hope, in the years ahead, these same opportunities can be available to more Wyoming kids who need them. These reports are part of American Graduate – Let’s Make It Happen! -- a public media initiative to address the drop out crisis, supported by the Corporation for Public Broadcasting. Students at Westwood High School—an alternative school in Gillette—are starting out the new school year in a brand new building. That means more space and state-of-the-art technology—but perhaps most important—a new location. That’s because Westwood, where most students don’t see themselves as college-bound, put up its new school building smack dab on a college campus. 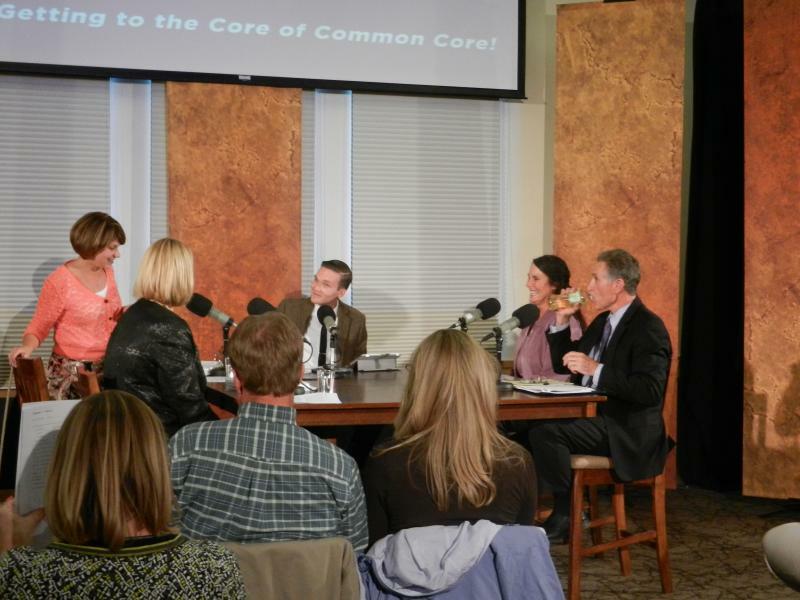 Wyoming Public Media's Education Reporter, Aaron Schrank, moderated a discussion on Common Core issues in Wyoming on September 10, 2014. Panelists included University of Wyoming Assistant Professor of Educational Leadership Mark Stock, Wyoming Education Association President Kathy Vetter, Wyoming Liberty Group's Amy Edmonds and Cheyenne South High School Math Teacher Jayne Wingate. You can watch the forum on Wyoming PBS on September 29 at 8:00pm, September 30 at 1:00pm and on October 5 at 11:00am. As Wyoming teachers gear up for another school year, there’s more emphasis than ever on improving so-called STEM education in the state. STEM is an acronym that stands for science, technology, engineering and mathematics. As Wyoming Public Radio’s Aaron Schrank reports, the number of jobs in these fields is rapidly rising in Wyoming, and the state’s education leaders are working together to prepare.